Time: Networking starts at 6:30 p.m. and meeting starts at 7:15 p.m. 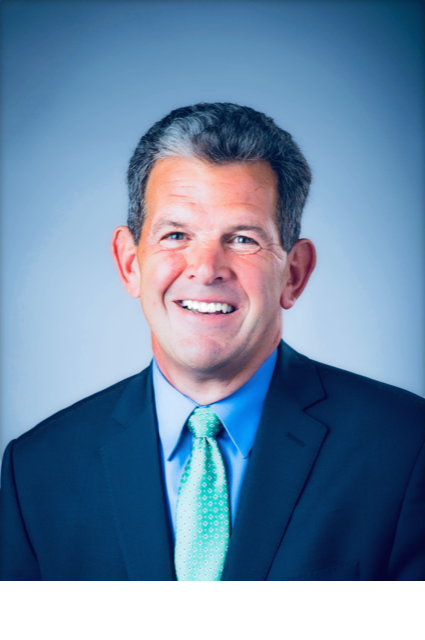 Rob Walsh is a Special Advisor to Manhattan College President where he is charged with forging strategic partnerships with key New York organizations and institutions including major corporations, start-up companies, foundations, cultural institutions, nonprofits and government agencies. His segment “The Bottom Line for Small Business” airs on 1010 WINS Radio where he is also the host and moderator of the Small Business Challenge which recognizes, the work of entrepreneurs in New York Metropolitan area. From 2014-2018, he has served on the Faculty at Baruch’s School of Public and International Affairs, where he has also served as the Faculty Director of the Executive Masters in Public Administration Program. In January 2002, Mayor Michael Bloomberg appointed Walsh the Commissioner of the Department of Small Business Services (SBS). During his twelve years, SBS became one of the city's most innovative agencies in serving the needs of its 200,000 small businesses. Walsh re-energized the City's business improvement districts and created an award-winning neighborhood leadership program in partnership with the Coro Foundation. Under his leadership, seven NYC Business Solutions Centers were established that secured more than $200 million for small businesses in the last six years of his tenure. He introduced NYC Business Express an online tool for the license, permit, tax, and incentive information that businesses need to operate. He created a wide array of entrepreneurial courses and forged new partnerships with groups including the Initiative for a Competitive Inner City, Goldman Sachs 10,000 Small Business Program, Interise, and the Kauffman Foundation. Walsh also built a new business-focused approach to the workforce system that placed nearly 200,000 people in jobs through 17 workforce career centers. Prior to serving in the Bloomberg Administration, Walsh served as President of Charlotte Center City Partners in North Carolina. He led the Center City 2010 Master Plan that led to significant private and public investments. He also initiated the recruitment efforts that attracted Johnson & Wales University to the Center City. From 1989 to April 1997, he led the Union Square Partnership, where he played an instrumental role in the neighborhood's revitalization. During the 1980's, he worked in the administration of Mayor Edward I. Koch. He began his career in public service as a New York City Urban Fellow, a program he later directed. Walsh holds a Bachelors in Political Science and Masters in Public Affairs from Fordham University. He also participated in the Senior Executive Program in State and Local Government at the Harvard Kennedy School. Become a new member of the IBO. Renew your 2018 IBO membership. If you have any questions, contact us at info@IBONewYork.org.